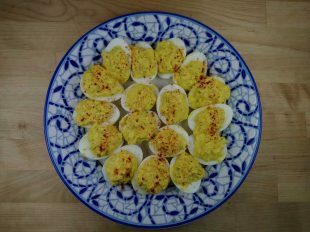 When I took this photo, I forgot the eggs! Don’t do that when making the recipe! 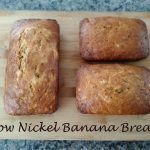 My mother’s recipe, this delectable low nickel banana bread is my go to treat when I’m craving something sweet or attending a party. 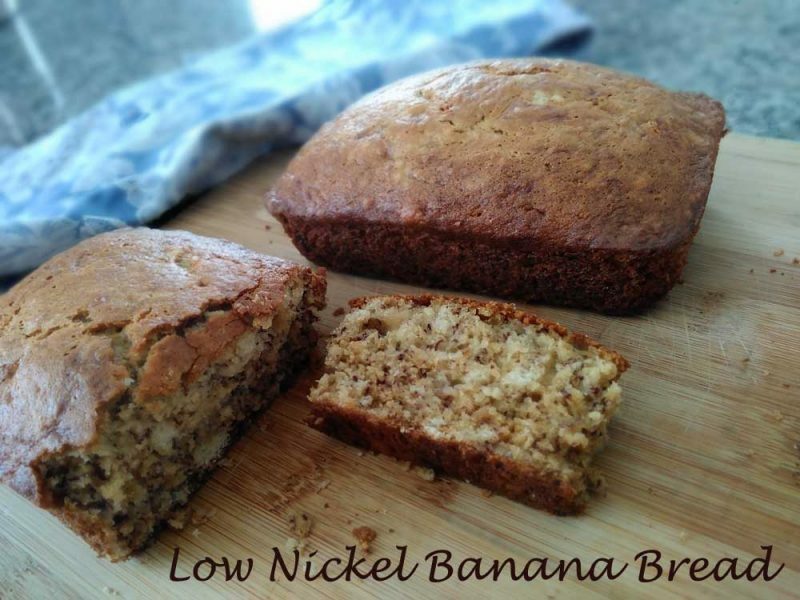 The banana bread’s cakey flavor makes it irresistibly challenging to not eat an entire loaf in one day! In an attempt to pace myself, I’ll use the batter to create 4 small loaves, or 2 small loaves with one large loaf or 2 large loaves. The bread freezes nicely for 1-3 months. 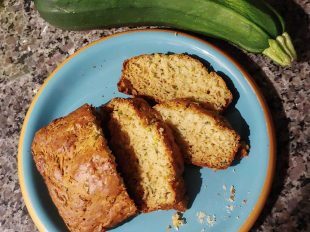 Using soft or overly ripe bananas dramatically improves the bread’s flavor. When my bananas are overripe, but I don’t have time to make the recipe, I’ll place the bananas in the freezer and then thaw them when I’m ready to make the recipe. Make sure your bananas are thoroughly thawed before trying to mash them! 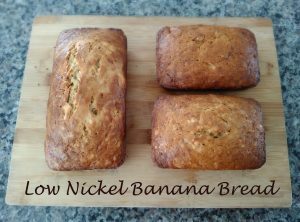 Low in nickel, this recipe excludes both chocolate and nuts, which can be found in many processed banana bread recipes. 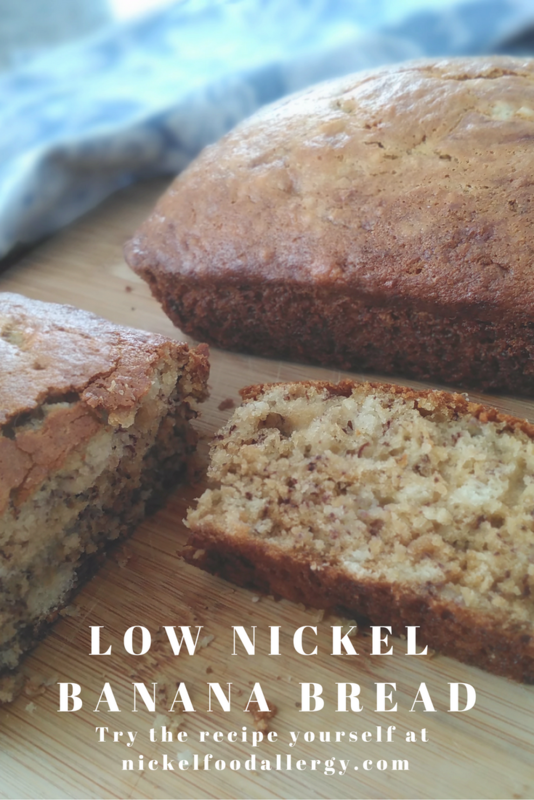 Soft cakey low nickel banana bread that’s perfect when you’re craving something easy and sweet. Identify what you'll use for bread pans, spray them with olive oil and dust them with flour. If you're using stainless steel bread pans, line them with parchment paper, which is then sprayed with olive oil. Preheat the oven to 350 degrees. Cream together the butter and sugar and then add the egg and flour. 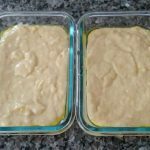 Next use a large plate to mash each of the bananas with a fork and put them into the bread batter, thoroughly combining all the ingredients afterwards. 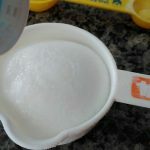 In a separate small container (I’ll usually use a 1 cup or 1/2 cup container) pour the milk and stir in the baking soda before adding the cap full of white vinegar, which should start to bubble when mixed. 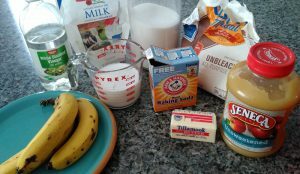 Stir the milk, baking soda, vinegar combination into the banana bread batter. Evenly pour the bread batter into your oiled and flour dusted bread pans. 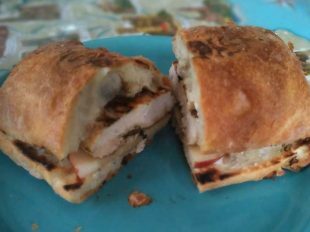 Bake at 350 for 50-60 minutes, and when it looks done place a toothpick into a couple center points of the bread to identify if any of the bread sticks to the toothpick. If the toothpick comes out clean, your bread is probably read to take out of the oven. 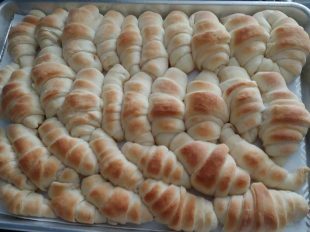 Allow the bread to cool for 15-20 minutes before slicing and enjoying! Next post Ways to Add More Iron to Your Diet Without Always Eating Red Meat! 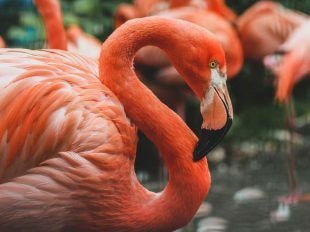 So glad I found your blog, and thank you for sharing with the world to make nickel allergy a little less overwhelming. What do you do to curb chocolate cravings … or better yet, have you found a low nickel chocolate? Thanks for your comment and appreciation for my website. I don’t have a chocolate alternative, if only! Many times our body’s crave certain foods when we’re deficient in certain nutrients and vitamins. Chocolate is high in magnesium and so many other foods high in nickel are also high in magnesium. I take a supplement in magnesium a couple times a month and especially when I crave chocolate! 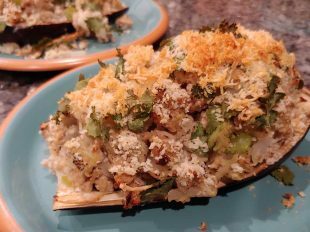 Christy, I’ve been experimenting with recipes too, but I am confused…i’e’the banana bread recipe…white flour…..white rice flour? (which is what I have found I have to use.) Or are you referring to the use of plain white wheat flour?…..I know pumpkin is harmful so to speak……but what did you make your crusts from?….just curious? White flour , usually also called all-purpose flour, is lower in nickel than whole wheat flour, flaxseed or buckwheat flours. I use all-purpose wheat flour to make my own breads and pie crusts. I’ve heard about rice flour and banana flour. I’ve wanted to try them both, but haven’t yet. I know some with nickel food allergies go gluten free as they cannot tolerate any flour. That isn’t the case for me. I hope that helps. Thank you….Unfortunately my nickel allergy is too bad to tolerate any type of wheat product….that is why I was concerned….in my baking I use a combination of white rice flour and tapioca flour….since corn is also a no-no for me…hence use of corn starch for thickening….I use tapioca flour…also known as tapioca starch for my gravies and sauces. Also deodorants and powders have cornstarch in them…discovered that after itching when putting on baby powder to keep dry….tapioca flour works well for dryness…I supposes some people are more sensitive than most…I even have to make my own mayonnaise since all store brands contain soy oil.